"And they all lived happily ever after" for about two minutes. Welcome to my imagination's playhouse. Far horizons beckon, upward limits grow fuzzy. I just finished enjoying RIDE THE RAINBOW HOME and wish I had more book. Susan Aylworth almost made me appreciate the desert. The fault is not hers. I LIVE in the desert and long for the green of home. I've performed in Holbrook, a small town in the book, plus driving through the reservation regularly. Susan makes that area come alive as it hasn't before, for me. She paints a gorgeous picture of the northern Arizona wilds. I really enjoyed the characters in this book. I've got friends like Little Jimmy, who were there for me in my ugly duckling days. When I go back to Colorado, they're still there, ready to blaze through my life like comets. There are just people like that, who don't care that you have to wear glasses, and dresses below your knees all the time. They look beyond the surface and love you for who you are and who you have the potential to become. I enjoyed the journey Meggie Taylor takes from wounded duckling to finding herself in the arms of Jim McCallister. I think of it as symbolized by their visit to the Hopi Snake dances. I loved how she emerged from her child-fearing shell more and more as the story played out. It was almost as if there were several journeys going on--Meg's to find a family and learn to live within one; Meg's from California to Arizona; Jim's to get Meg to realize he'd loved her since they were in junior high. Jim is such a vibrant character. I enjoyed how he dug himself into the Navajo mindset. I'm guessing he'll even have their bed facing north. I wanted to ride along with them further. I enjoyed the fact that he let Meg conquer her fears for herself. He didn't just step in to rescue her. Conversely, he didn't abandon her when she was sick or needing something. I enjoyed how strong he was mentally and morally. I wanted to know his side of things. How did he become so strong? Basically, I'd love to read more about these two. I'd love to know if they had a traditional wedding or if they had a Navajo wedding or both. I'd have been right there in my velvet dress, drinking their health with some lovely cran-raspberry juice. I give this book RIDE THE RAINBOW HOME by Susan Aylworth two thumbs way up. Do I Shovel or Do I Write? Some would argue that writing is sometimes very much like shovelling manure. It can get messy and annoying, but when you get the crud out of the system, everybody feels better. Sometimes your verbal excrescences can even benefit the wider community. Tomorrow my son goes in to have his wisdom teeth removed. He'll be sitting in the oral surgeon's chair instead of shovelling manure at the stables he works for. He's tried exceedingly hard to get someone to take over for him for Thursday and Friday so he can stay home and lie on the couch and moan a bunch. Do I rescue him in his hour of need, or do I let him get yelled at for not lining up a work force to fill his space? I'm torn. While I do need the exercise and he needs the pittance she pays him, do I want to spend my recovery time (from bronchitis) horking up manure dust and garnering blisters? I'd much rather write. But what's a loving mother to do? I read another blog by a young man who had been divorced twice and was re-hashing his failures and foibles in an attempt to make a better relationship with future prospects. The information was valuable. I could see so many areas where I've got room to improve. Some of the premises didn't apply to our situation, but are good ideas. Some of them seemed like ant hills to me. "Oh, that's a simple thing," I told myself. Little snowball. But the little snowballs are where the avalanche begins. We forget or neglect to do the small things and pretty soon the big things seem like looking at K2 from the foothills. What we seem to need are a couple of sets of climbing gear so that we can clamp onto the cliff and endure to the summit. And the gear needs to be used quickly so that he doesn't see how far above it is and decide to wait in the car. The other day I watched Touching the Void, a movie about a couple of British guys who went climbing in mountains in South America. As they were coming back off the summit, one of the men slipped and shoved his leg bone up through his femur, badly breaking it. His friend did his best to lower him down part of the mountain, although it was excruciatingly painful. Since their ropes weren't long enough to really work well, they'd lower him down to the knot between their ropes. The broken guy would find a foothold and stand on his good leg, and then the one above could untie and then re-tie the knot around the carribeaner. They both wondered how they would make it. After a while, it got dark and they both were exhausted and dehydrated. The broken guy was lowered past an overhang, making it so that unless he climbed back up the rope, he couldn't take the pressure off so that the man on top could re-rope. The one above had no idea what was wrong and began to slip. All he could surmise was that the man below had fallen and was dead. In order not to get pulled off the mountain, the one on top made the fateful decision to cut the rope. The broken one fell into a deep crevasse and became wedged. He tried to climb out, but dropped one of his two Prussic knots (a system by which one can climb back up their rope). He thought all was lost. But here's where the heroism comes in. That man worked his way successfully off the mountain and is alive today. He had to do unspeakable things such as: let himself fall further down the crevasse, hop on a false floor hoping not to hit a weak spot, drag himself over miles of boulders and treacherous snow bridges, drink from mud puddles, warm himself with his own urine, and time himself to get to little goals of a few yards. My estimation of that young man hit an all-time high. Nothing in my life has been that difficult. To me, that young man had a spectacular reason to whine, to give up, and to make excuses. I do not. What that young man didn't have in his equipment was prayer. He didn't have a belief in God which could sustain him and buoy him up. He had a spectacular will to survive...alone. Which is also what the young man in the blog post was missing--a relationship with God. I think that neglecting that one imperative piece of equipment can be like dropping your Prussic knot. Or worse, cutting your own rope. Why not ask for help from the Being who made the crevasse in the first place? So recognizing that this marriage is a three-way relationship is something we've sort of done, but not really. We're kind of allowing Him to be our roommate. I personally want a deeper relationship with both of them, because the whole expedition will work much better if God is the one belaying us. My first marriage crashed badly. It was as if he'd cut the rope for no apparent reason at the time. From where I stand now, I realize I was surpassing naive, lacking in confidence, and afraid to stand up for myself and for what's right. I let him drag me through several things I'll never allow again. He'd never learned how to climb safely, as his mother had been married and divorced some six times or so. The Ex eventually had his own three or four more marriages. I'm not certain if he's finally found a way to keep from cutting his companions free because I haven't talked to the chap in about twenty four years. I don't miss him. Off belay. So I've also been trying to re-apply some of the principles I learned in the other blog. One of them is putting fun back into the relationship. My ice breaker for getting back into these ideas is a monkey. The other day I found one from my kids' Barrel o' Monkeys. For days, now, we've had a great time trying to tag each other with that monkey so the other person will hopefully get out of the house and later find it. He found it in his pajama pocket once (why do we need pockets in pajamas anyway?) and I found it in my hair this morning after he kissed me good-bye. I almost did it today hiding it in his wallet (but the dang thing was too fat so the wallet didn't close well). What that little red monkey has done is start bringing the playfulness back into our marriage. Now to get him to go walking with me. Or any other fun thing away from the computer. We're pretty good about kissing and saying we love each other. But I'm horrible about talking about him to my friends. I'm torn. In one book I read that we need to never talk about our spouse to our woman friends. But in all the rest of my experience, I note that we have a web of woman-type friends for a reason. They help you figure out what you're doing wrong so you can fix it. I also note that many men just DON'T talk, and mine in particular. He doesn't have the capacity to sit there and speak deeply to me. There is no pillow talk arena. I'm not sure if that is totally a dead end, or if I'm just not realizing how I can acquire the key to that particular door. 1. Keep God in the middle of your relationship. He knows His stuff. 2. Don't stop doing the things that you did during dating just because you've snagged your spouse, like dancing, or working out, or wearing deodorant and nice-looking clothing, or cleaning, or holding hands and making out. It's dishonest and lazy. 3. Don't diss him/her to your friends just to diss him/her (I wish there was an IT you could use in English to include both sexes like there is in German.). It's disloyal and counterproductive. 4. Fight fair. Don't dredge up instances from the past, because it's likely they'll have forgotten all about that instance and feel like you're putting them on trial. Unless you both like affidavits, don't muckrake. If you have a beef, handle it when it first rares its ugly head. 5. Don't say stuff you wouldn't like said to you, even if it's true. Come on, this is the person YOU MARRIED FOREVER! You made a vow before God and others to love and cherish this person you're calling names. Cut it out! 6. Making your spouse read your mind is a bad idea. It's a good bet you aren't married to a mind reader. Expecting them to do so is not only folly, it means you don't respect them enough to talk to them. 7. Never disrespect your spouse to your children. The best present you can ever give your children is to love their parent. 8. Don't get lazy and stop doing the things you like to do together. And if you do stop for health or other reasons, find something else to do together. Love that person enough to do a few things they like that you don't care for. 9. Don't always expect the other person to repent first. They're probably expecting the same thing, and soon you'll expect yourself right down to the lawyer's office. 10. Not talking so you won't fight isn't going to cut it. You have to communicate. You have to have enough love and respect for your mate to make time to talk to him/her, and you don't make them 'pay' for wasting your time talking. It's a privilege and a duty and a right. They are your spouse, after all, not your roommate or your handyman/maid. You MARRIED that person across from you. So that's a rough list for now. I'm certain I've missed important ones. I have more than many of them to work on. I'm determined to make it to the summit safely this time. On Belay! And where did I put that little red monkey? 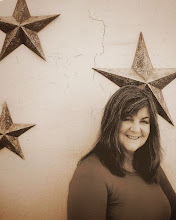 Shelly Brown, author of Fall of Cliff Castle chained me to this The Next Big Thing Blog Chain. Shelly Brown has linked me into the Next Big Thing Blog Chain. My W.ork I.n P.rogress that I just finished yesterday is A Terrible Majesty. Where did you get the idea for your book? It just came to me in a dream. I seriously saw the big scene and woke up crying. What's the genre of your book? It's a science fiction book about a pilot and a systems specialist on the navy starship the Intrepid. Which actors would you choose to play your characters in the movie? Together Kit and Vari must battle the unknown enemy The Scythe to bring their starship safely home. Will your book be represented by a publisher or self-published? I'm pitching it to publishers. About two months. Yeah. It went fast because I was in love with it. This one flew out of my fingers like sparks from Hermione's wand. What other books compare to yours in your genre? Louis McMaster Bujold wrote love and families and flawed characters into her sci fi. This could compare to hers. Who or what inspired your book? I've read a freighter full of sci fi books starting in fourth grade with Ray Bradbury and proceeding to Heinlein, Frank Herbert, Ann McCaffrey, Elizabeth Moon, Louis McMasters Bujold, and a whole fleet of others. Thank you, oh giants upon whose hefty shoulders we try to stand. What else about this book might pique a reader's interest? 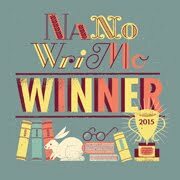 I wanted to write a sci fi that wasn't just cold fighting. I am personally a fighter and greatly enjoyed Louis McMasters Bujold's space fight scenes. But, like Louis, I wanted a human element in my sci fi too. I wanted to be truthful to my story. After all, you aren't going to spend your entire life on a navy ship with both sexes and not have a little romance. This is a WHOLE story. I hope you like it. I recently read a lovely little book called Thirty Six, By Daron D. Fraley. I really got into this book because I could so fit myself into the man's shoes. This MC is pretty much the guy I married. He's a complete and unrepentant geek but brilliant and kind. My Sweetheart once tried to pry a gecko out of a glue trap intact. He nurses baby doves back to life. He once lent an online friend money he never got back so the man could eat. Yeah. Just like Aaron, he's that kind of man. So when I read about Aaron who befriends and defends friendless little boys and their waif-like mothers, I knew what Daron was talking about. These are men who would go clear across the country to save a friend from an abusive boyfriend or feed homeless guys in the park. And these are the kinds of things the Thirty Six will need to do in order to keep God from utterly fire-storming the Earth. I found this book engaging and sweet. I wanted to see what happened to Aaron and Mandie and whether they would end up together. I wanted things to be right for Aaron, even though in real life that will often not be the case. Some people make incredible sacrifices without any visible payback in this life. So. I've read Thirty Six, enjoying the delicious mystery and adventure of it. Now I want to read the sequel. Hurry up and write it, Daron. I'm impatiently waiting. I ask you, how does the human body produce such a prodigious amount of phlegm and not lose at least a half ton of weight? I have had bronchitis and a cold for well over a month by now and I am beginning to wonder. Is there some kind of black hole leading into my sinus cavity accessible only by legions of phlegmbots? Have I angered some kind of Fairy Godmother of Snot? Are there Oompa Loompas in charge of refilling my bottomless tanks of goop? Call in Dr. Who. There are blobs to destroy. Seriously. With this much nose blowing and horking up blobs of greenish goo, there should be some kind of weight loss. I suppose there isn't because it's being off-set by not working out due to being SICK. Sigh. I have things to do. I don't want to spend all my nights sitting upright in the easy chair in the living room. I have to get back to saving floating space men. There are enemy ships to explode. There are children to beat (okay...haul around) and force into servitude (in their own rooms, cleaning up their own junk). There is a mountain of filthy clothing to tackle (I shall conquer it anon). I'd like to be able to sing in the Stake choir soon. And at some point I've got to quit putting off dinner with the missionaries. So, things to do, now. I've done the echanasia (Spell check keeps coming up with euthanasia. Do you think they're trying to tell me something?) thing and the sleeping loads thing and the blowing my brains out thing, to no avail. I'm still so full of goop that my jaw ached last night. I'm thinking sinus infection. Yay. Anywho, this is my excuse for not being much on the computer these days. Snot and the fact that I just finished writing my book A Terrible Majesty yesterday! I am STEAMED! My son's school demands that they buy a gym suit from them, which is over-priced but necessary. This year B. took weigh-lifting, so I was alright with buying the thing, happy that my son would finally be getting some exercise. The other day he wanted to do something, so as per my usual method, I went to his online grade report to check whether he had all his assignments in. To my horror, he had an F in weight lifting. "How does one flunk weights?" I wondered. You go, you pick the things up, you put them back down. Voila! So I wrote to his teacher. Turns out my boy didn't have the right color of t-shirt one day. That's all the explanation I got. I nearly swallowed my tonsils. Who flunks a kid because his t-shirt is black? So I told the guy his grading methods were draconian and to give B. some extra homework to pull his grade back up. Then today hit. B. came home smelling like a wet dog. I said, "What happened to deodorant?" "Mine got stolen," he said. "The same time they stole my gym suit and the locked lock from the locker." I boggled. "You got everything stolen? Why didn't you tell me?" "I don't know. I forgot. That was the same day I got that F."
My eyebrows nearly climbed up off of my head. "Say what? You mean your gym clothes disappear out of your locked locker and you get an F because you aren't dressed out? Your teacher didn't even mention that when he was making excuses." Did I say draconian? I meant something far beyond that. This calls for flaming bags of manure on his porch. And if I ever find the thief, more like a ton. Seriously! Who does that? What was the kid supposed to do? Dredge one up from thin air? Call the gym suit fairy? Even if he'd had a spare (which he doesn't since we aren't made of cash) that would have been ripped off as well. I am stinking sure that I'm never going to provide another juvenile delinquent with a gym suit again. Now to remember to pick up a load of fresh muck the next time I take my other son to work (in a stable, luckily...:o). It's a rainy day, perfect for cuddling up with the computer and a cup of cocoa. Okay, the cocoa got replaced by an avocado, but I would have to stop writing to make cocoa, and I'm still battling bronchitis so the phlegm isn't doable. I need to be able to sing as I have concerts to practice for. I hear the Pink Rock Fairies hard at work on the median outside our house. They've come to clean up years' worth of neck-high weeds and make a racket while I'm trying to think. I'm sure they'd be happy to lay off if I went out there, but the spores are making me allergic. Writing is a must today. The kids were out of school for a week and I got nothing done. It was like loping off a limb. The stories are aching to get out into the watery light of day. 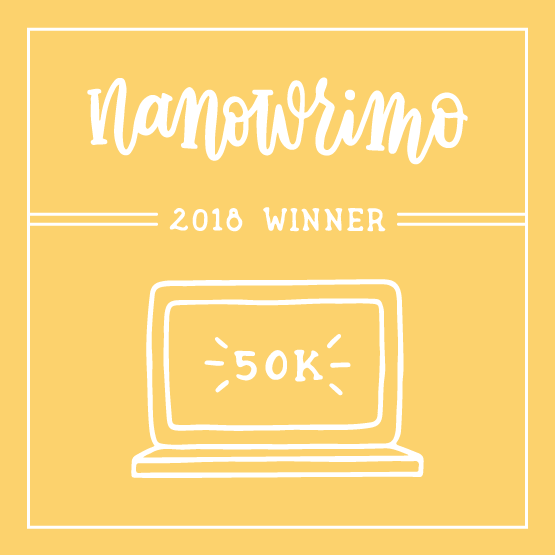 I'm racing to finish A Terrible Majesty so I can do Letters to Steps for Nanowrimo (National Novel Writing in a Month) (or something like that). Letters is already outlined and ready to fly. I just have to clear my docket of Terrible, a story I'm loving. So I've spent hours working out dogfights in space and fight scenes in the brig. I've slogged through logistics and tactics and romantics and semantics and all manner of ics, trying to make the scenes believable and logical. It annoys me when sci fi shows make huge leaps of fantasy just to get the problem solved instead of working through the tangle with decent science, in a way truthful to the story. My kids keep suggesting these amazing video game cheat weapons which cannot fail and I just smile and nix the idea. These characters have to solve their own problems. That said, I do have telepathy and beings made of pure energy--not as the solution to the problem, but as a plot point. For such things I can take a leap. And my MAC (Magnetic Accelerator Cannon) guns? They're already in use. Hah! Okay. Did I mention the Pink Rock Fairies? I need a freakin' flyswatter. You can blame them for the disjointed quality of this post. At least they'll take care of the sticker bushes so they won't be sending their pokey little horrid messengers to bite me in the feet anymore for a while. More later. Back to dogfights. et sextam partem oephi et sudore. Viscount Sir Edward Marchmont's new wife, Bernadette, is spending his money like water. Unbeknown to her, he takes the family gem, a huge ruby called Heart of Fire, to pay for his gambling debts. On the way to his creditor, however, Edward loses the jewel. In a fit of despair, he throws himself from Blackfriars Bridge, plunging his family into poverty of the rankest sort. With a heart harder than any ruby, Bernadette abandons her stepchildren to a life on the streets of London. Sarah and Josiah are forced to make their living by dragging flotsam from the banks of the Thames to sell for food. 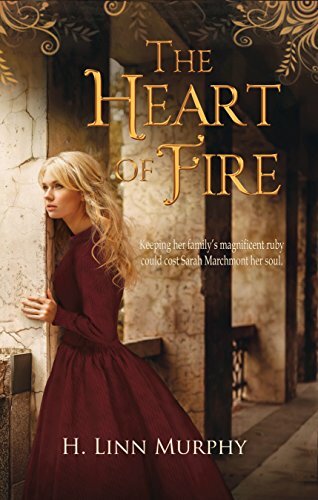 Sarah cares for several street urchins, while her young brother goes to work for a gang, cleaning chimneys and acting as a paid mourner-both covers for a theft ring. Handsome law clerk Andrew Witherwood seems to be Sarah's champion, despite the fact that Bernadette has retained his services. When rumors of the ruby resurface, greedy treasure hunters will stop at nothing to get their hands on it. Kidnapping, theft, betrayal, and murder are all on the table. Sarah must find someone she can trust before it's too late. A summerhouse isn’t usually the place to pick up cute girls. Jack Harris, curator of the Pennington Estate for England’s National Trust, not only meets a girl where he works, but she is the famous Pennington heiress, missing for two hundred years. Somehow their lives collide in the gazebo after dark. Jack soon finds he can’t get Charlotte and the mystery surrounding her life out of his head and heart. Charlotte knows she can’t marry her parents’ choice—the man is doltish. She must tell them she wishes instead to marry an incorporeal man with the words “Do not disturb: I’m disturbed enough already” written on what appears to be his undershirt. Jack can’t impress Charlotte’s unbending parents without scaring them witless, as they think he is a ghost. Jack pursues her across Europe, racing time itself and hoping to catch her when she falls. But time can be unpredictable. When champion barrel racer Tamsin Tucker is seriously injured at a rodeo, her whole world crashes around her. She is abandoned in a tiny Utah town, where her leg is amputated to save her life. Tamsin's horse is gone, she has no family, and she feels God has forsaken her. Prospects are bleak. Through what she later realizes is divine intervention, Tamsin finds friendship with her nurse, Sarah, and Travis Mayfield, the handsome doctor who saves her life. Sarah has her own problems, but a faith that Tamsin can't deny. Travis has ghosts of his own and must learn to trust in God as well. Getting on her feet isn't going to be easy for Tamsin. But with a newfound purpose, the help of friends, a man who adores her, and the matchless love of her Heavenly Father, she will forge a new life. 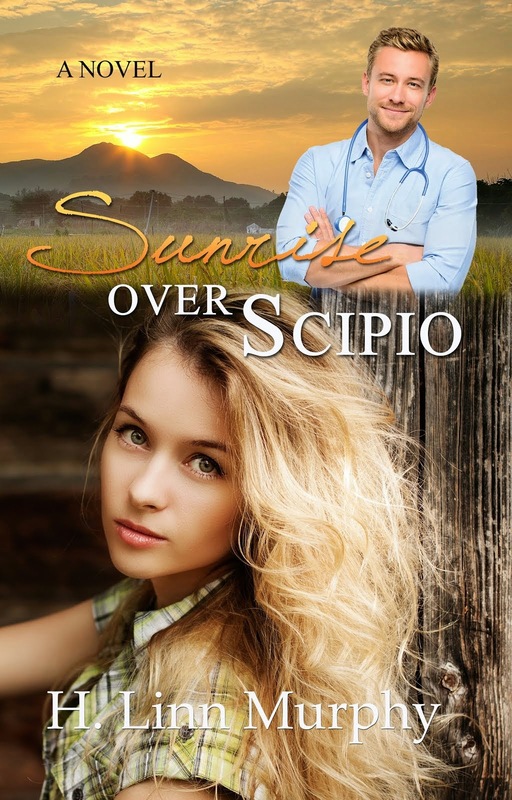 You can find SUNRISE OVER SCIPIO at Deseretbook.com, Amazon.com, and latterdaycottage.com. 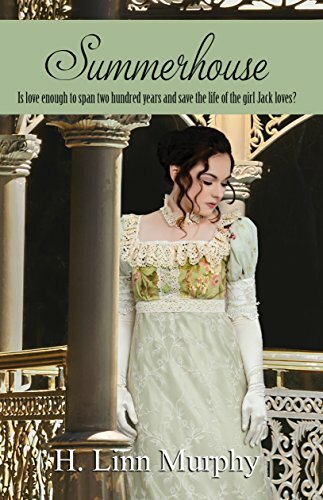 Francesca Kennington merely wants to be left to her studies, despite her mother's best efforts to saddle her with a rich husband. Then she meets a mysterious gentleman, who leads her on a romp through the ballrooms and countryside of Georgian England. Their romance blossoms but secrets cause Francesca's house of cards to tumble. She must find a way to put her life back together, while still following her heart. H. Linn Murphy. Powered by Blogger. My son cracks me up - He says: "Became a man today." I am one lucky mom. Doctor - B-Mom, can i wide dat bull? *When you are grown up you can ride a bull. * B-I am a gwown up, I got big fum da doctor! - This blog has permanently moved to AngieLofthouse.com Please join me there, or feel free to browse through the archives! Stories 'n Tales in Spotlights!